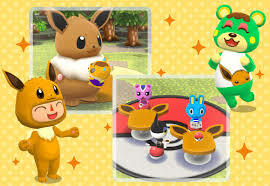 Animal Crossing: Pocket Camp has recently received a brand new event that makes the Pokémon Eevee the center of attention. During the event, players can take part in a scavenger hunt and craft their own Eevee themed items and clothing. The Pokémon scavenger hunt has players hunt for scattered Poké balls within your camp area. You can find out more about the event via the in-game notification.